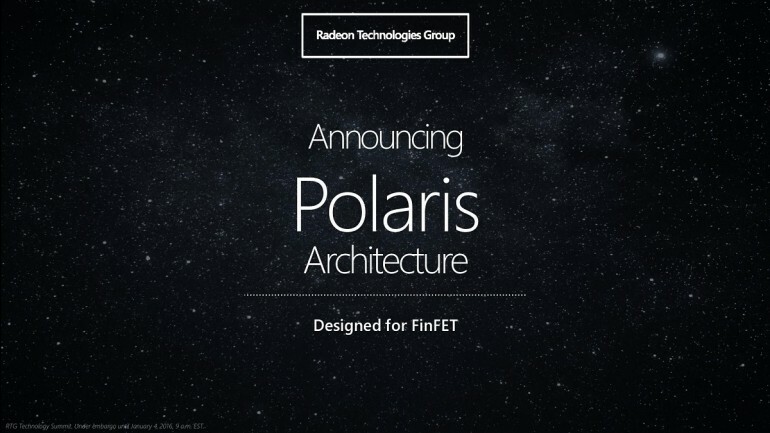 AMD’s Corporate Vice President Roy Taylor has clarified the company’s plans for its upcoming Polaris GPU. He mentioned in an interview with ArsTechnica that the goal is to “Expand the TAM (total addressable market) for VR gaming hardware”- something that was rumoured heavily a few months ago. Taylor went on to say that AMD’s competitor, Nvidia, was a worthy competitor. This is due to the fact that Nvidia surprisingly agreed with AMD’s plans of creating a “VR Council”. Despite being made for the mainstream market, rumours are now suggesting that AMD’s upcoming Polaris 10 GPU will be able to churn out a high-end GTX 980 Ti-like performance – without costing a fortune. If those rumours are true, then AMD may just be successful in terms of widening and – somehow – lowering the barrier of entry to VR gaming. As of now, VR gaming still seems rather unaffordable due to the prices of the hardware involved. According to Taylor, Nvidia’s Pascal GPUs aren’t going to expand the total addressable market for VR because of – speculatively – their high retail prices. Nonetheless, AMD’s pursuit in making VR more accessible will definitely be appreciated by the majority of gamers in the mainstream market. 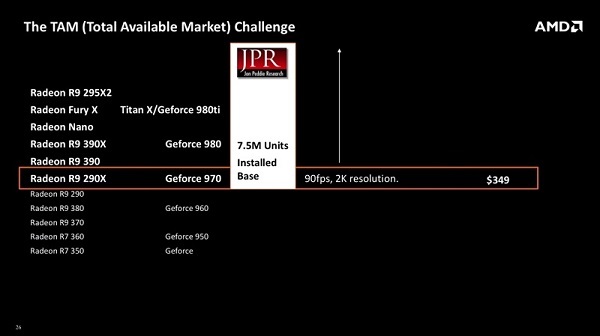 However, whether or not AMD will be successful in doing this remains to be seen.